For more information see how this sharing process works. Please see which third party organisations and for which project pupil level data has been shared with and also how the DfE collect and use your information. At Chandag Infant School, we welcome all children and their families into our school community. We are committed to providing a fun, happy, safe and nurturing environment, where children are inspired through a rich and varied curriculum, to become proud and successful learners. Like fingerprints, no two children are alike. By valuing each individual child and celebrating their successes, we provide space to imagine, to unlock new ideas and to learn without limits. With time to explore and discover, children embark on the learning journey towards achieving their potential. Through equipping children with skills and resilience, they develop confidence, perseverance, courage and a thirst for lifelong learning. ‘We make friends with everyone. We are warm and welcoming , friendly, happy, thoughtful and kind’. As a community working in partnership, we aspire to be the best we can be and to be part of something special. The future starts today. Vision and values created with staff, pupils, parents and governors, October 2014. Should the children have any problem of any kind, they are taught who to turn to and issues are dealt with promptly. We discuss equality issues throughout our curriculum and during assembly time. We have an anti-bullying policy and anti-bullying weeks are held each year as part of the curriculum. We also make the children aware of online safety through our curriculum. If you would like any further information about our curriculum, please do not hesitate to contact your child's teacher or Mrs Weeks in our school office. 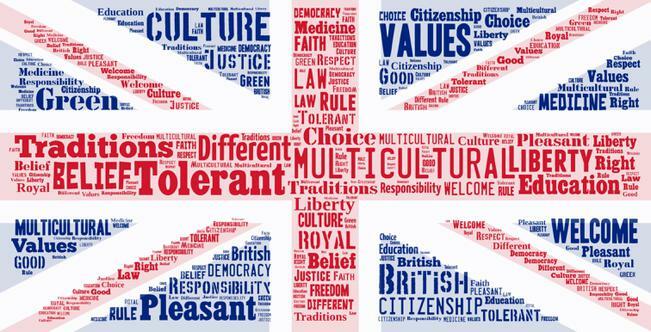 As an Infant School, we understand how important it is to make the concept of British Values accessible to even our very youngest pupils. One of the ways we have done this is with a fun and interactive assembly that the children could relate to. Please take a look at the presentation we shared with all of the children. For children starting school in Reception from September, admissions are managed by B&NES Admissions department. Information below explains this process. For 'in year' i.e. admissions to a year group part way through the school year, please contact the school directly for information. Our new admissions policy is coming soon. Children are normally admitted to our Reception classes in the September following their fourth birthday. We admit children from many preschool settings in the area and have no influence over who is admitted to the school. We feel that it is really important that you come and visit our school when the children are here so that you can make an informed decision about your child's education. Please see our admissions information. How to apply for a place will be self-explanatory. Places for our school are limited, therefore, we advise that you submit your application before the closing date. If a year group is over-subscribed the Admissions policy is followed. Once your child has a confirmed place within our Reception classes, induction for parents and children takes place which includes an open evening for parents, and visiting days for pupils. This provides the opportunity for both the staff and parents to get to know each other, for questions to be answered and for the parents to feel confident about the positive start the children will be experiencing at our school. For the financial year 2017,18 our pupil premium funding (FSM and post-LAC) is £8120 and it continues to finance 1:1 and small group targeted support from a teacher, plus enrichment opportunities such as lunchtime and before/during/after school clubs for some children. If you are on a very low income and/or you receive qualifying benefits please register you child for free school meals - eligible by benefit (EBB). Although currently all EYFS and key stage 1 pupils can have a free school meal, registration will attract additional funding (Pupil Premium) for the school which will be used to support your child. Please call 01225 394317 or visit www.bathnes.gov.uk/freeschoolmeals to download and complete a form online. Ms Bancroft in the Rainbow Room is happy to talk to you about this if you would like to. For more information about eligible benefits, and national and local organisations that offer help and support to parents and carers in BaNES, Bristol and S Gloc, please log on to the 1 Big Database. Our dessignated teacher for children in care and post looked after children is Helen Bancroft. Ms Bancroft is based in the Rainbow Room and would be very pleased to meet with you about supporting your child/children in our school. We have access to expert support and advice from the Bath and North East Somerset Virtual School. We are continually reviewing and reflecting on the progress of our children. This enables us to make provision for those children who are not making the progress we would expect whilst at the same time extending the learning for the children who are making more progress than we would expect. Assessment takes place as part of ongoing class routines and children are unaware that they are being assessed. Standards are reported to parents as part of our commitment to working in partnership with parents and helping the children move forward in their learning. Articles and advice for children and young people by the Department for Education. From September 2014, all children between the ages of 4 and 7 and entitled to a free hot school meal during the school day. You do not need to register your child as we will presume that all children would like a meal unless you tell us otherwise. However, if you are in receipt of certain benefits such as Income Support, we are able to access further funding to support your child in school. Please see the leaflet attached on this page to see if you are eligible. Please telephone the school office or call the Free School Meals Helpline number on 01225 394317 if you have any questions regarding free school meals. Your child may continue to bring a packed lunch if you prefer but do take a look at our new, nutritionally balanced menu, as there may be some meals that they would like to try. For information please see the Wellsway Multi Academy Trust's statutory information section. Chandag Infant School converted to academy status on 1st July 2017. We are now part of the Wellsway Multi Academy Trust (WMAT). Should you require a paper copy of the information on our website, please contact the school office tel: 0117 986 4129 or email: enquiries@chandaginfantschool.org.uk where we will take details of your request and provide copies as soon as possible.